Our September staff pick was chosen by Rhonda, an employee at Bremer’s for 15 years. Rhonda loves warmer weather, so she loves to enjoy every last bit of it she can before Fall arrives. 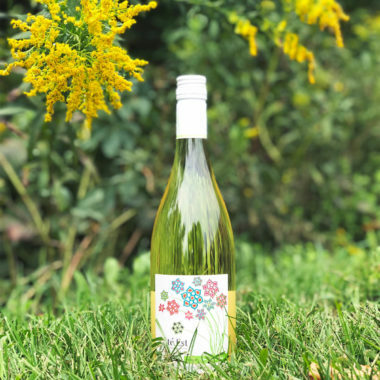 And her pick this month, which is a white blend of Grenache Blanc, Chardonnay and Marsanne is the perfect choice to enjoy when the sun is out (hopefully), but there is a slight chill in the air. Rhonda especially loves this wine alongside seafood dishes like Pasta with Scallops or chicken dishes like Chicken Francaise. Pick up your bottle or order it online now and try it alongside this mouth-watering recipe for Lemon-Ricotta Pasta with Seared Scallops by Flavorite.